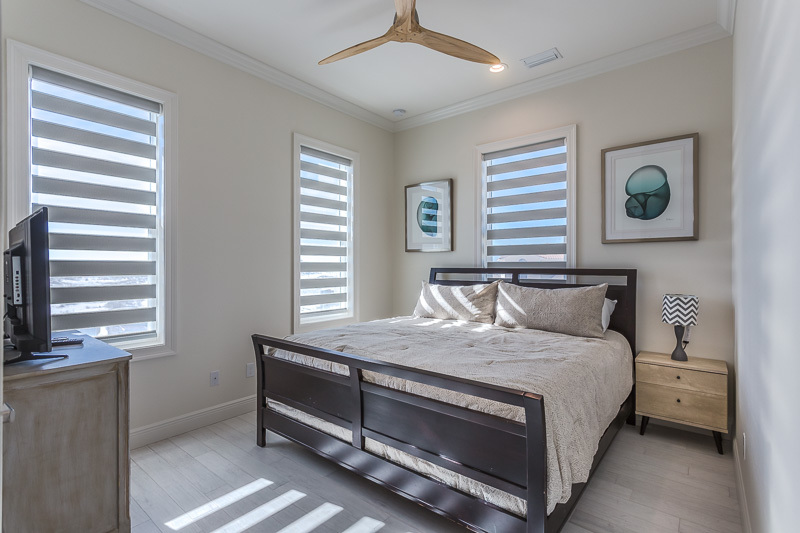 Casa Blanca Brand New Construction, 4 bed/3 bath house with water views from every room! 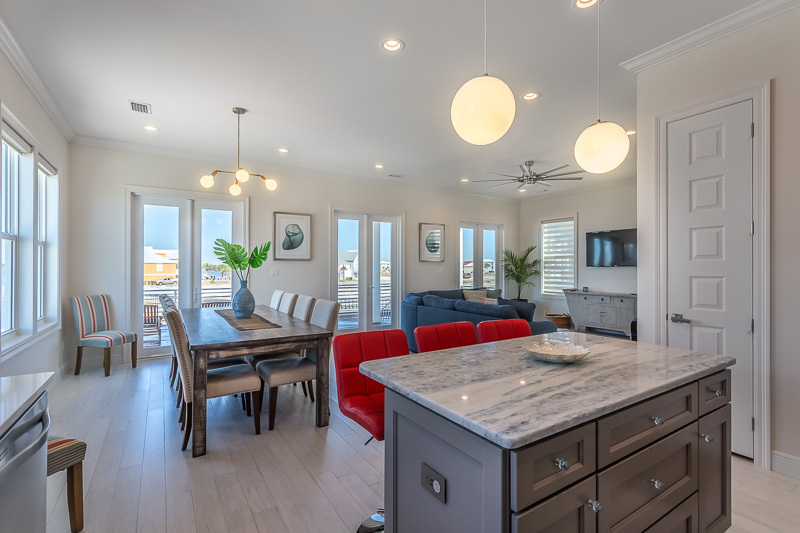 Be one of the first to stay in this new construction home located in the prestigious sound side community of Sailmaker Cove on Navarre Beach. 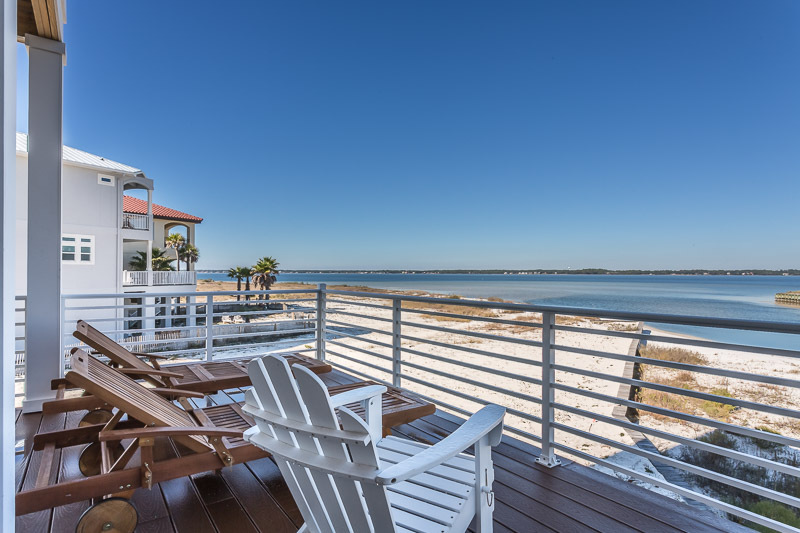 Casablanca sleeps 12 comfortably and sits on a private, white sand beach overlooking Santa Rosa Sound from the back with gulf views to the front. 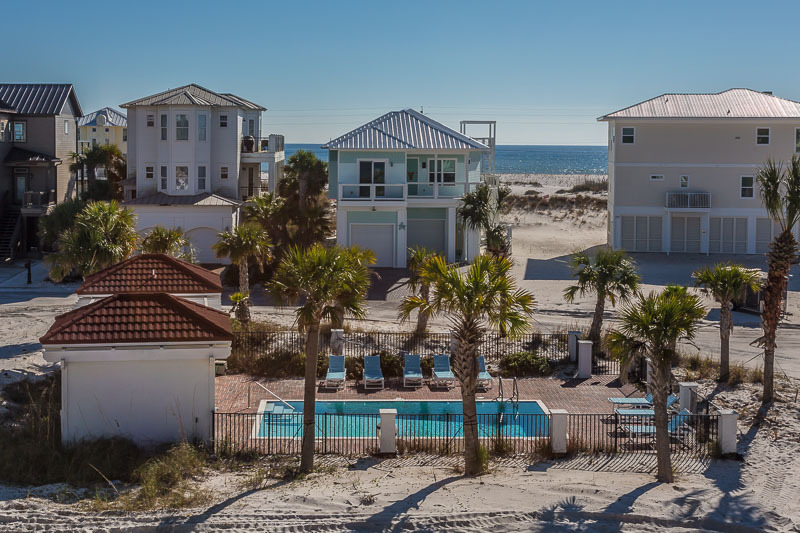 Walk out of the house onto the private sound beach, cross the street to the gulf beach or take a break from the beach at the pool. 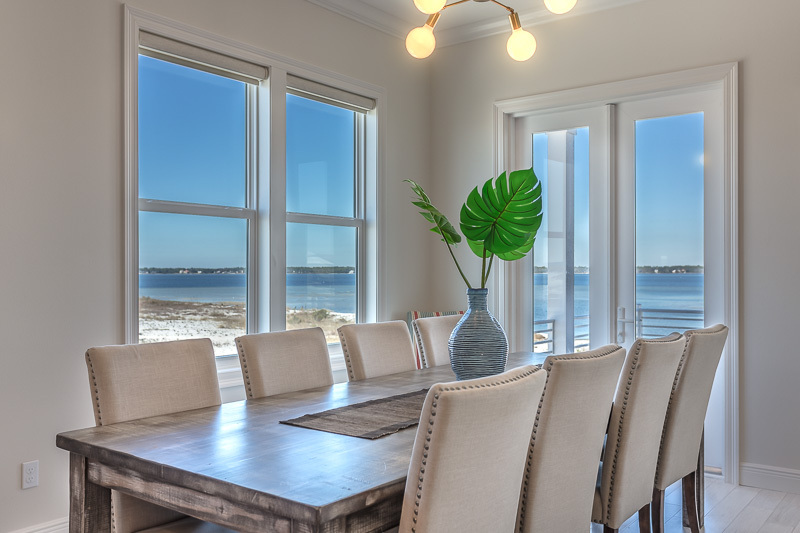 Enjoy watching the sunset over Gulf Islands National Seashore and all that Navarre Beach has to offer with your family and friends. Enter Casablanca on the ground level through the two car garage. The ground level game area and grilling patio overlook the private beach and sound. 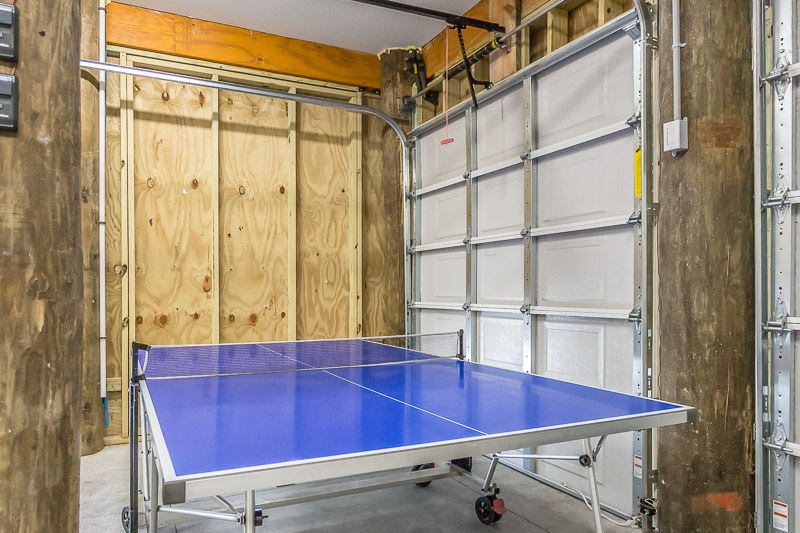 The game area includes a ping pong table, corn hole, bocce and ring toss. A fire pit is located behind the house is ready for your nightly smores! The main living area has a gorgeous view of the sound from the living, dining, kitchen great room with a large covered balcony. 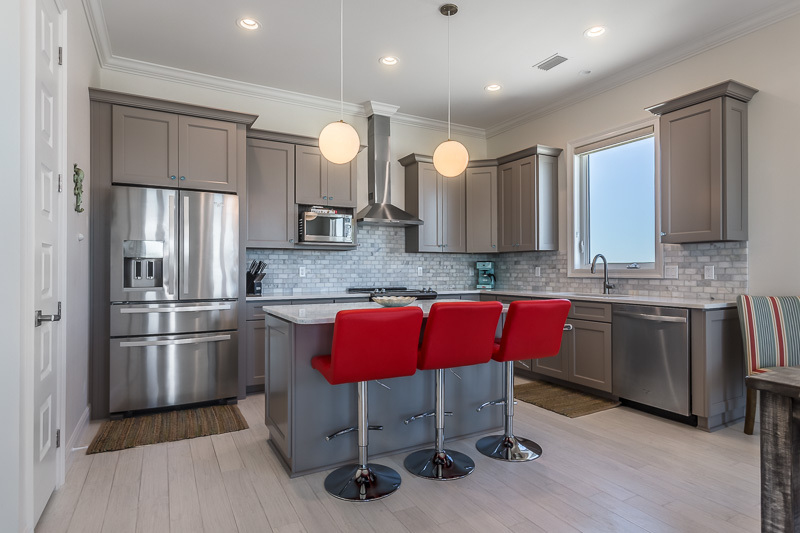 The gourmet kitchen, featuring stainless steel appliances and stone countertops, makes cooking a breeze while the 10 person dining room table can comfortably seat your entire party. The living room has a large sectional with sleeper sofa and 55 inch flat screen TV. The first floor also has a bedroom with a King bed and flat screen TV. 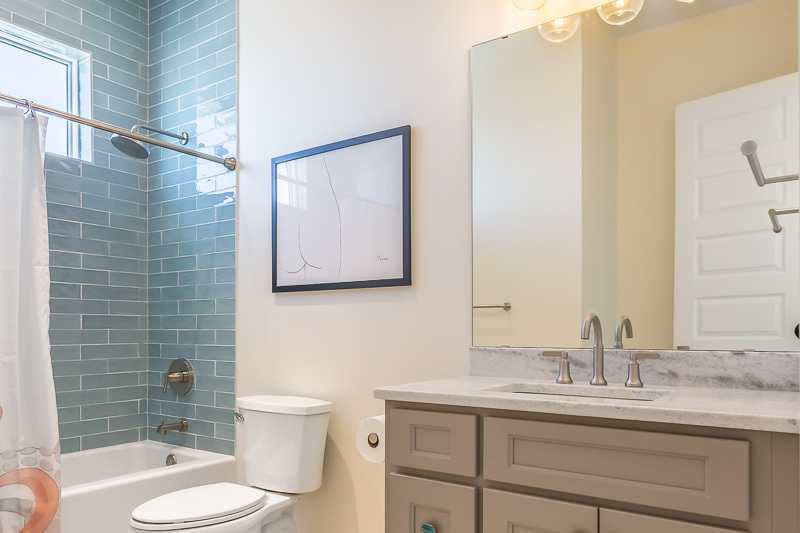 The bathroom on this floor features a walk in shower with floor to ceiling tile and overhead rain shower head. 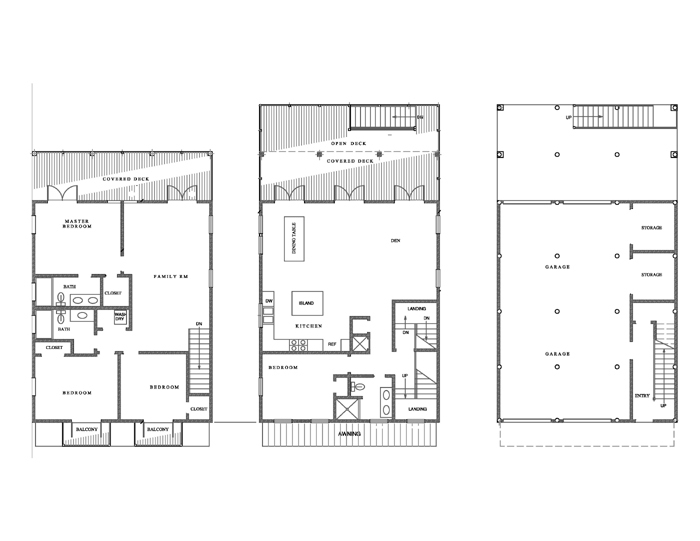 The second floor opens onto a second living room, the master bedroom with on-suite bath, and two guest rooms. 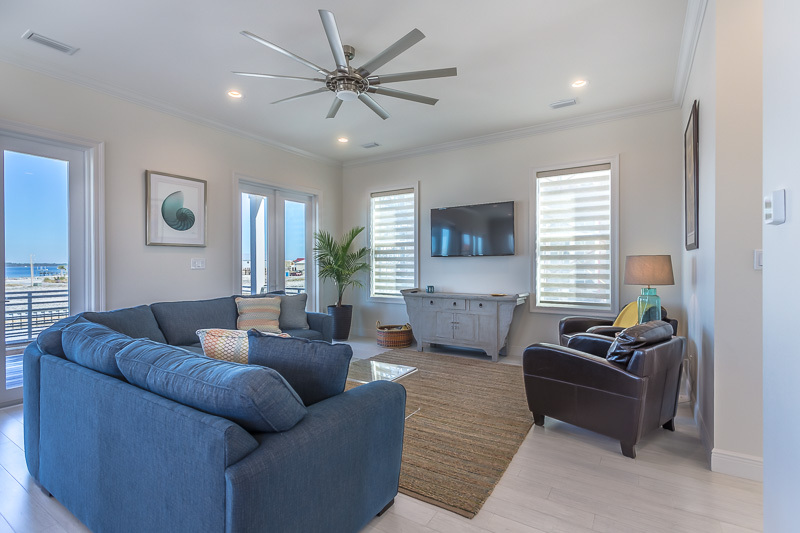 The second living room is perfect for multiple families or a movie room for the kids and includes a 55 inch TV, board games, comfortable seating, a 4-top table and opens onto a balcony overlooking the sound. 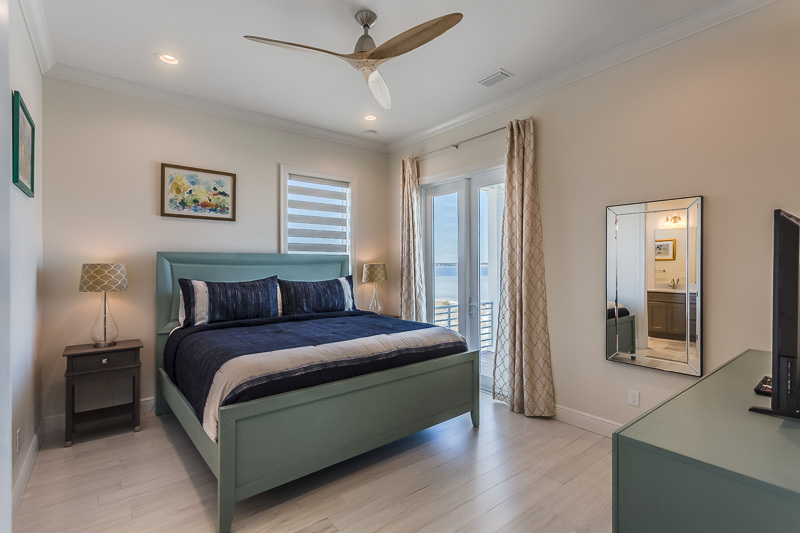 The master suite has a King bed, flat screen TV, en-suite bathroom with tub/shower combination and it opens onto the balcony overlooking the sound. 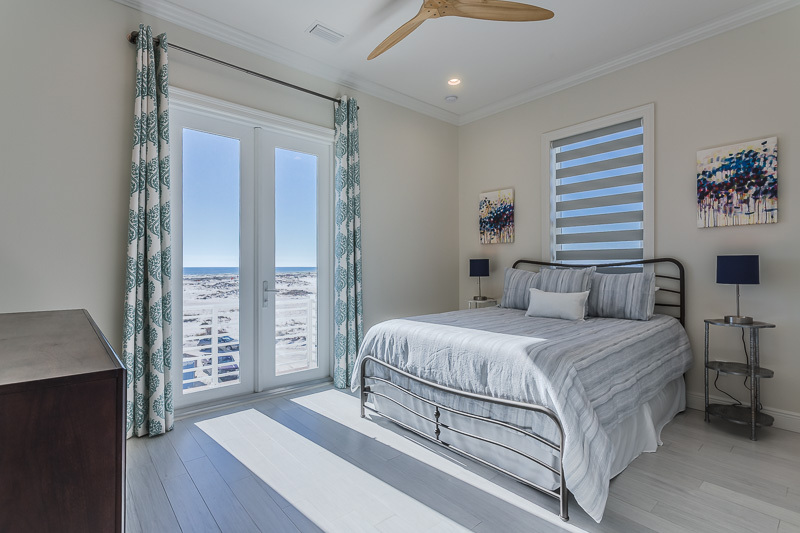 Two additional bedrooms are located on this floor and both have Juliet balconies with gulf views perfect for watching the sunset. 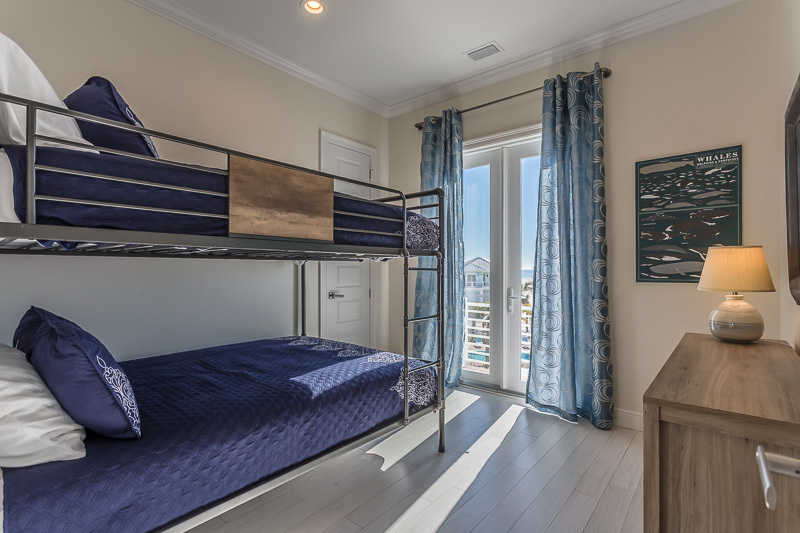 One bedroom has a Queen bed with 32 inch TV and the other room has double Queen bunk beds, no more squeezing onto full size beds! 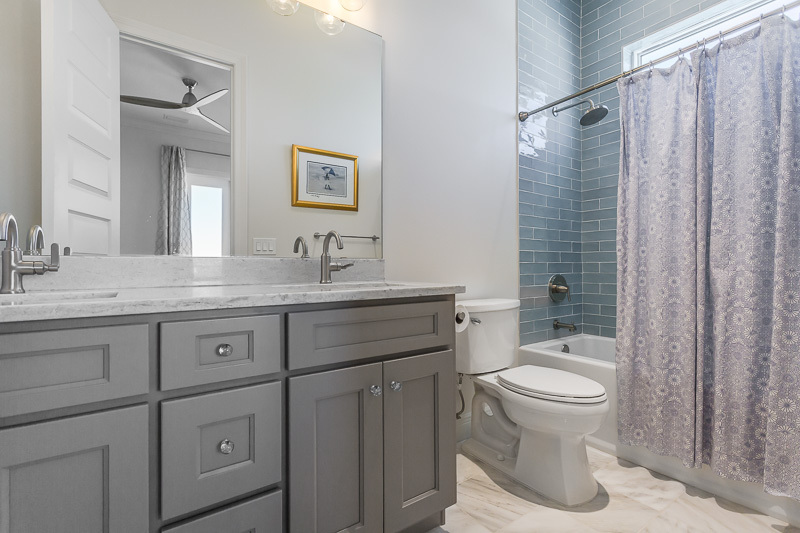 This floor also has the third bathroom with a tub/shower combination and a full-size washer and dryer. Casablanca is perfect for multi-family vacations, friends trip or a romantic getaway. The house sits on 65 ft of bulkhead so you can pull up a boat, jet skis or kayaks directly out back. Bring your bikes, or rent some, to explore the bike path running the length of the island. 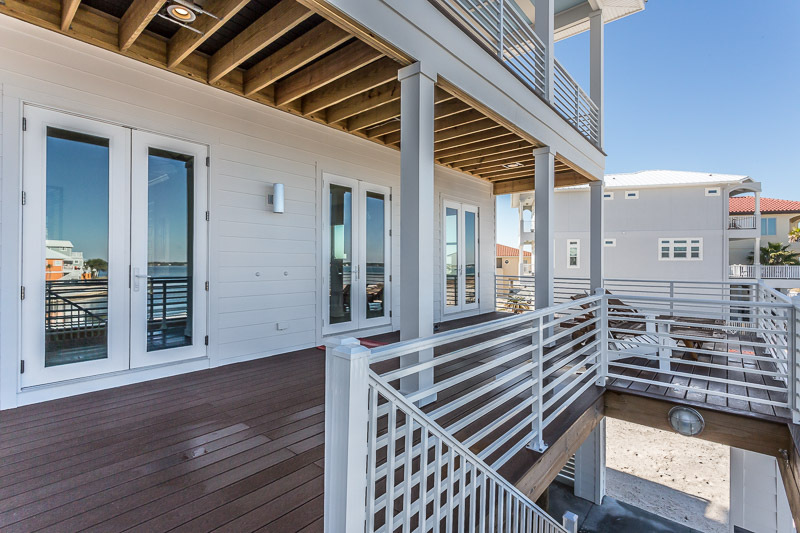 Go fishing in the sound behind the house or enjoy your morning coffee with the view from one of the four balconies. 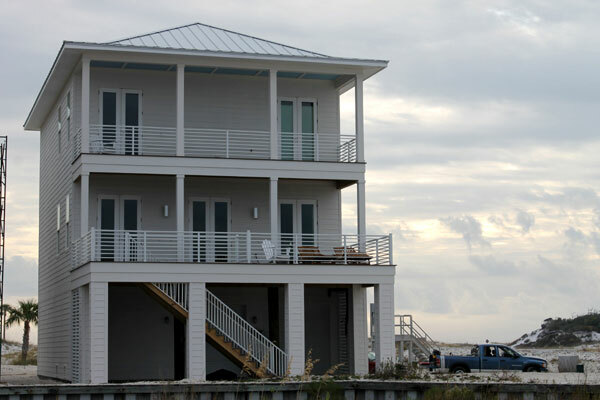 Make Casa Blanca home for your next vacation! 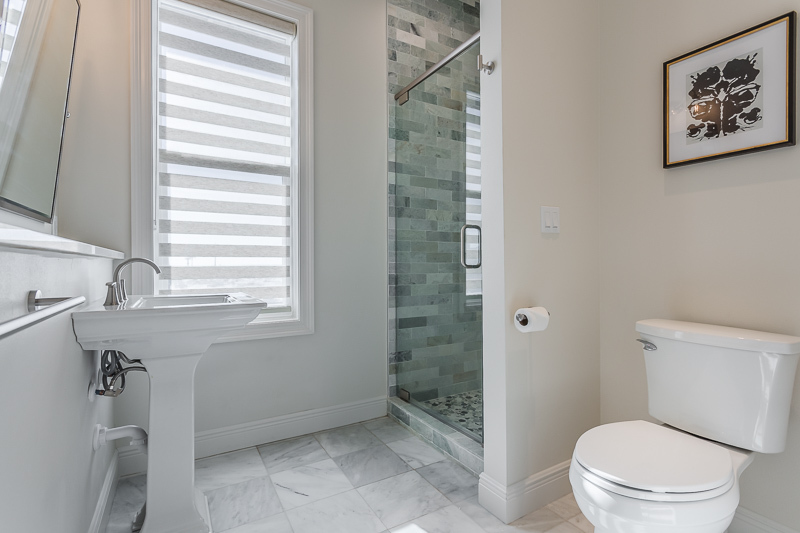 This house is so nice and in the perfect location with access to a pool, gulf, and the sound. This is our 5th year coming to Navarre and we have finally found a place that is perfect!!! Rental company was excellent to work with as well. The pictures just don't do this house and the area justice. The house was beautiful and spacious (we had 4 adults and 7 kids ranging from 7 to 14 years old). Awesome views from just about every window and the location couldn't be better. 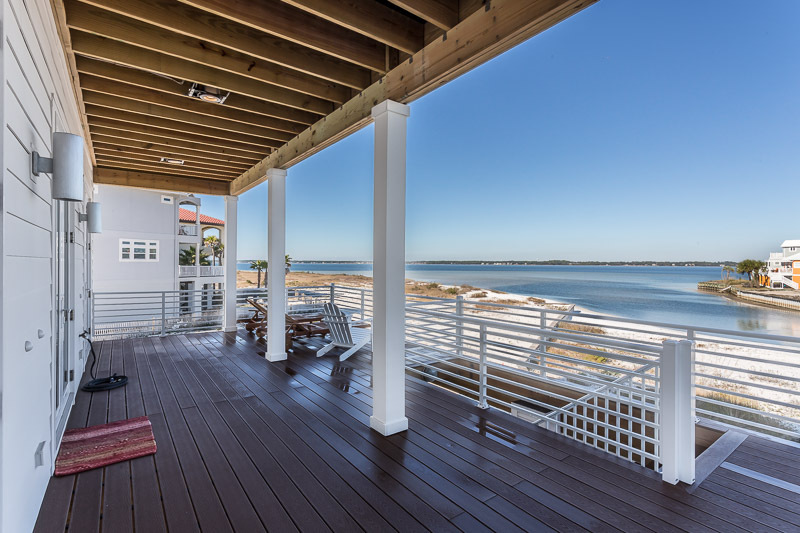 5 minute walk to the gulf or step out on the private beach of the sound right out the back door. Beds were all comfortable, somehow we never managed to run out of hot water (even with 11 of us showering after coming back from the beach). The kitchen had plenty of space and things to use for cooking. 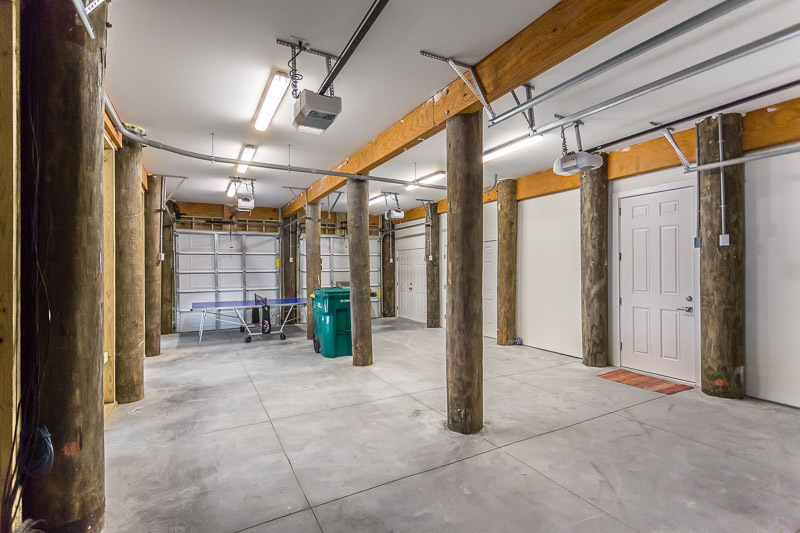 If I have one suggestion, it would be for the owners to consider purchasing a chest freezer (even a small one would have been great) to put in the garage. We were a large group and did a lot of prep meals prior to arriving and we ran out of freezer space rather quickly but got creative with our coolers and made it work! Overall, our stay was fantastic and we definitely plan on going back! The property was beautiful. 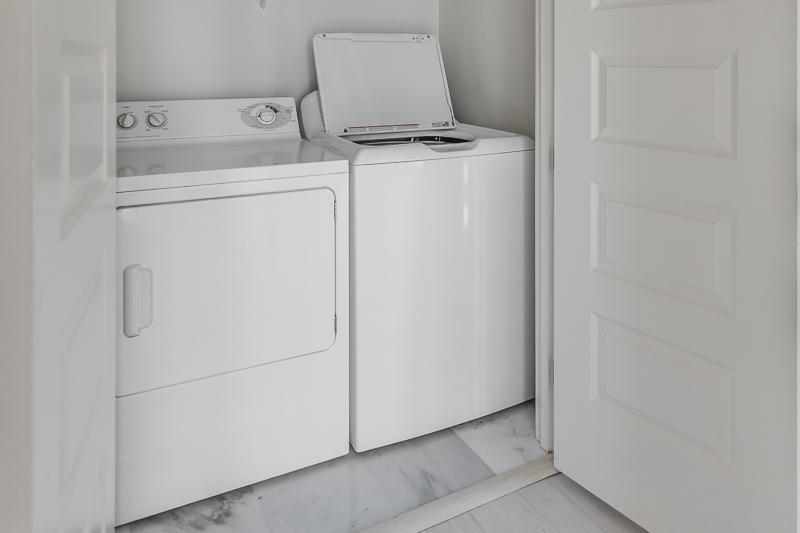 All the amenities needed were provided. We enjoyed our stay so much!!! Very spacious and comfortable. We tried to treat the place as our own!!! Was nice having ping pong table, board games and bocce balls. We felt like we were at home away from home. Having the large table was awesome for our big family to have meals together. Could have used a little more furniture on the main outside deck because it seemed this was where we all like to sit and enjoy the view. Enjoyed our stay and hope to return. 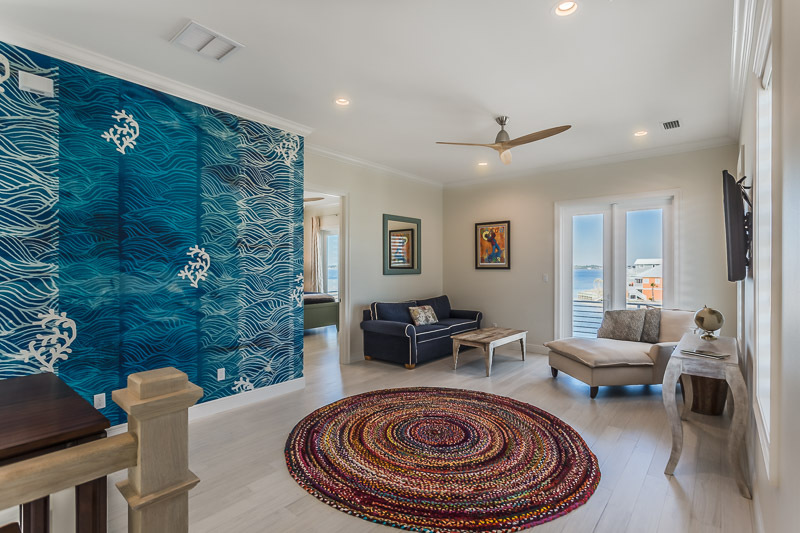 This is a lovely home, steps from the beach and at the entrance to Gulf Breeze National Seashore. Private and on the sound. Beautiful sunrises and sunsets. We will rent again!